Gather your buddies and join us on Saturday, December 8th for the first annual 12 Bars of Charity event in Nashville! 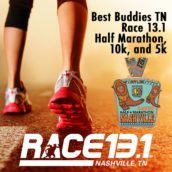 The event is a friendly competition amongst 8 of Nashville’s charities, split up into teams, with the ultimate goal of having the most people signed up under their cause. When you register, choose the Light Grey Team to support Best Buddies and help create friendships and jobs for those with intellectual and developmental disabilities in our community. Your $30 registration includes a Light Grey Team 12 Bars of Charity sweatshirt, a $10 donation to Best Buddies, discounted beverages, and shuttle rides to the 12+ bars. 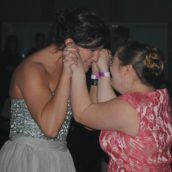 February 28, 2016 | Cordova, TN Woodland Hills Event Center Best Buddies Prom… it’s kind of a big deal. It’s the day that every Buddy Pair across Tennessee looks forward to all year long - and for good reason. It’s an enormous party where every single guest gets the five-star treatment! 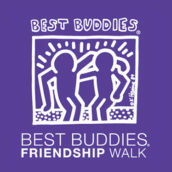 August 27, 2017 Wildhorse Saloon Nashville, TN Join us for our annual Best Buddies Friendship Walk Kick-Off Party! Grab your boots and do-si-do on over to the Wildhorse Saloon as we get ready to countdown to our 2017 Best Buddies Friendship Walk in Nashville.